A closer look at the day's most notable stories with The National's Jonathon Gatehouse: it's back to business for Saudi Arabia; journalist Maria Ressa has been tracking hate networks in the Philippines, and she has concerns for Canada; India's fight against fake news. It's been just four months since journalist Jamal Khashoggi was murdered inside Saudi Arabia's consulate in Istanbul, but it seems that the storm has already passed for Crown Prince Mohammed bin Salman. Investigative journalist Maria Ressa has been tracking hate networks in the Philippines, and she also has concerns for Canada. India's fight against fake news includes a government push for laws that will demand more action from tech companies, but an election is approaching and there are fears that a crackdown on content could have consequences on the "free and fair" democratic process. 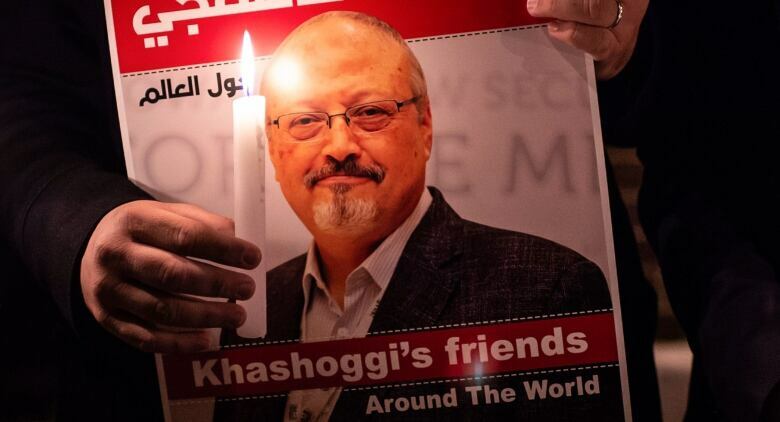 It's only been four months since dissident journalist Jamal Khashoggi was murdered inside Saudi Arabia's consulate in Istanbul, Turkey. 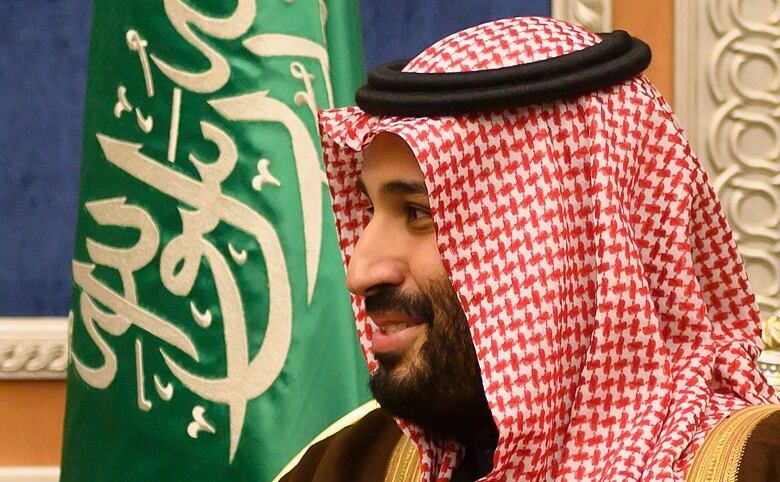 But it seems that the storm has already passed for Crown Prince Mohammed bin Salman, the man who is widely believed to have ordered the execution. Officially, the United Nations is still probing the killing. A human rights investigator and her forensics team are visiting Turkey this week to talk to local officials — and politely wait to see if they will be given access to the crime scene by the Saudi government. Yet just yesterday, UN Secretary General Antonio Guterres had a friendly phone call with MBS (as he is known) to discuss a far more pressing problem, the war in Yemen. And today, Martin Griffiths, the UN special envoy to the conflict-ridden country, praised the Saudi leadership in an interview with the BBC, saying they have been "incredibly helpful" in keeping the fragile ceasefire with the Houthi rebels intact. For his part, the Crown Prince has returned to his usual routine, and more palatable obsessions. 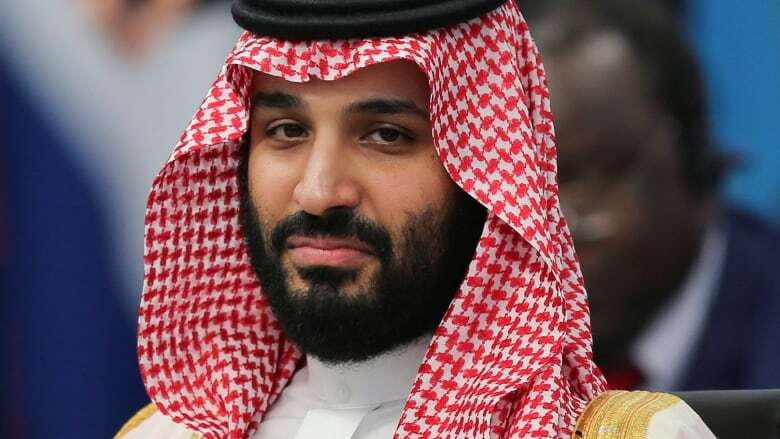 On Monday, he showed up at Riyadh's Ritz-Carlton hotel for the unveiling of the latest plank in his Vision 2030 economic reform plan — an industrial development program that aims to create 1.6 million jobs and bring in half-a-trillion US in new investments over the next 11 years. Three dozen agreements worth a total $54 billion were signed during the launch, including deals with Eastman Chemical, CMI of Belgium, and French defence giant Thales. And while MBS didn't make a speech, he did take time to pose for selfies with some of those in attendance. Shortly thereafter came news that 10 prominent businessmen, who had been held in luxury detention upstairs at the same hotel since the fall of 2017, have been released after settling charges of corruption brought by the Prince. The Saudi government has netted more than $107 billion US in the crackdown, which targeted rival members of the royal family and powerful billionaires. Now the government has moved farther down the food chain, suspending 126 local officials this week over allegations of graft and abuse of power. MBS's plans for a new $500 billion mega-city called NEOM, with an airport, harbour, tourist resorts, luxury homes and industrial complexes, are forging ahead. 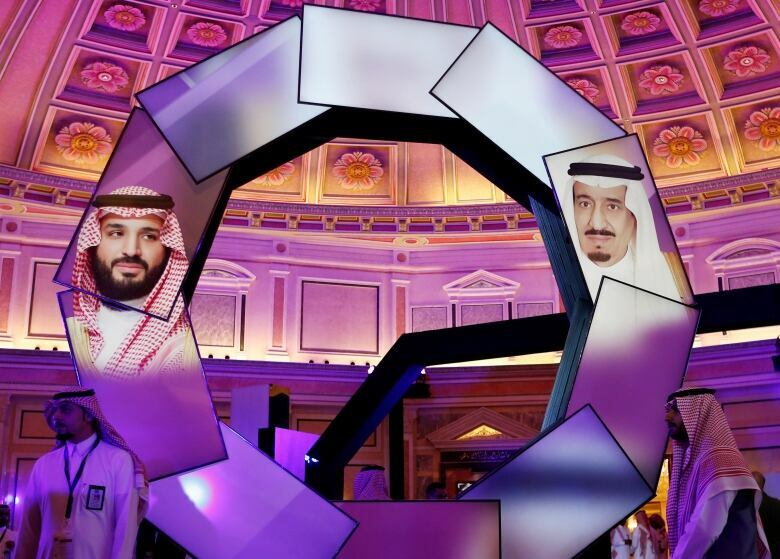 As are his efforts to bring Western-style entertainment to Saudi Arabia's young population, with another new multiplex cinema opening in Jeddah. The Crown Prince will visit India next month, and will likely tack on stops in China and South Korea as he seeks more partners for his economic schemes. And the kingdom's first professional golf tournament — the Saudi International — tees off tomorrow at the Royal Greens Golf and Country Club in King Abdullah Economic City. Several top names, including Justin Rose, will play -- drawn by the $3.5 million US purse and appearance fees that reportedly run as high as $1 million each. 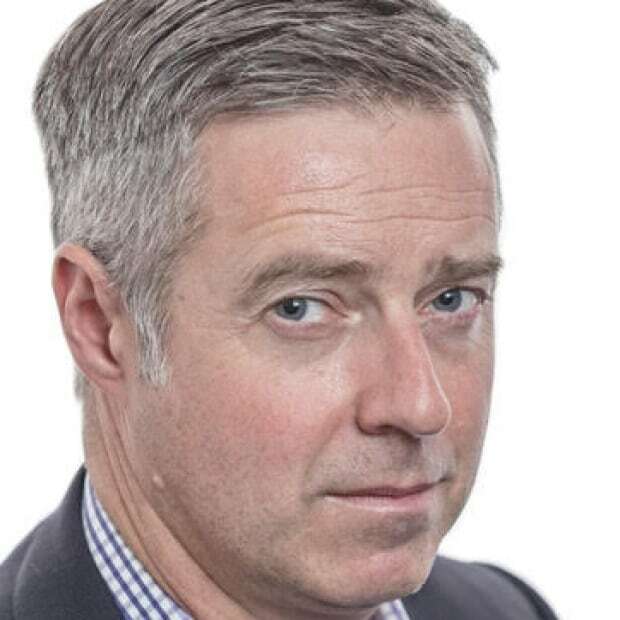 But there has been a fair amount of criticism levelled at the organizing European Tour and its chief executive, Keith Pelley, the former head of Rogers Sportsnet. Paul Casey, the world-ranked No. 22 player and a UNICEF ambassador, has declined to play, citing his concerns over Saudi Arabia's "human rights violations." Although it seems a welcome concert featuring Mariah Carey, Sean Paul and DJ Tiesto will go ahead as planned, despite a social media campaign to get the American pop diva to cancel. In the end, that will surely please MBS. Another part of his vision strategy, unveiled last week, hinges on transforming the ultra-conservative state into a world entertainment capital. The country's General Entertainment Authority (GEA) wants to host a Jay Z concert and stage its own version of the running of the bulls. There's also talk of an NBA game, a wax museum, and magicians — a tough booking, given that practicants of witchcraft and sorcery are still liable to be sentenced to death under Saudi law. The GEA has already settled on a new slogan, the brief and to-the-point "Enjoy Saudi." Although it's not clear if that's an exhortation, or an order. Investigative journalist Maria Ressa has been tracking hate networks in the Philippines, and she also has concerns for Canada, writes The National's co-host Adrienne Arsenault. The timing of Time Magazine's decision seems to have pinched her heart a bit. Duterte was using the slur "fake news" long before it started tripping off the tongues of others. His government had made a move to revoke Rappler's licence. The reporters were, and still are, dedicated to exposing the thousands of murders committed in the name of Duterte's war on drugs. They hold power to account like few others, and for that they have been threatened so forcefully that Ressa spent a month getting 90 threats an hour. And then it really became a thing. Ressa is now facing several tax evasion charges that she maintains are ridiculous. What's not ridiculous is that she could be jailed for 15 years. This isn't a hypothetical. 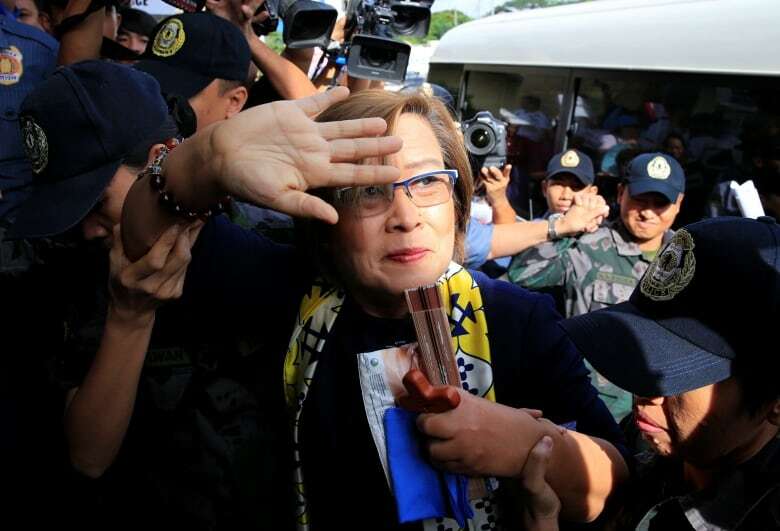 One of Duterte's most prominent critics, Senator Leila De Lima, has been in jail since early 2017 on charges she is certain are politically motivated. So, back to the timing and Ressa's anxiety. While she was contemplating the meaning of the charges back in December, a tweet came through that surprised her. "I was with my friend, and I showed it to her and said, 'I think this is fake news.'" It was a moment to laugh and then take a big breath. It wasn't fake. Ressa had just been named one of Time Magazine's persons of the year. "Oh my God, I think it was that sinking feeling in your stomach. And I had to quickly go through is it going to be positive, or negative, will it bring more attacks?" Don't forget, she offers, everyone else chosen by Time was either dead or in jail; Jamal Khashoggi, the journalists from the Capital Gazette, the Reuters reporters jailed in Myanmar. That's at the core of what we talked about when Ressa visited Toronto this week. We've had these conversations before, and I've interviewed her in the Philippines in 2011 and 2017. Always the conversation was about what her country is going through. She has concerns about the upcoming election and the inevitable attempts to drive wedges into Canadian society … or as she calls it, "pound the fracture lines." She has some advice, some concerns and some inspiration to share. India's battle against fake news includes a government push for laws that will demand more action from tech companies, but an election is approaching and there are fears that a crackdown on content could have consequences on the "free and fair" democratic process, writes producer Simi Bassi. India has a fake news problem, and its government is demanding tech companies do more to solve it. A draft law proposes banning content that "deceives or misleads" or is "grossly offensive or menacing in nature," and platforms must take down content that violates those rules. Last year, fake news circulating over WhatsApp led to mob killings of innocent people across the country. It was difficult to track the origins of the messages, usually in the form of doctored videos, that had gone viral within specific WhatsApp groups in mostly rural villages. The National first spoke to fake news-hound Govindraj Ethiraj at the time of the killings. He and his small team of journalists at Boom Live — a Mumbai-based organization that works to debunk fake posts — had begun tracking the problem in an effort to stop the spread of the rumours. For Ethiraj, determining the origin of messages while at his desk in Mumbai was "next to impossible," with WhatsApp's strict privacy rules and built-in encryption posing a unique challenge. Now, as election campaigning ramps up in India, "the volume and velocity of misinformation has gone up substantially and is literally going up every day," says Ethiraj. He has since expanded his operation to work in three languages — English, Hindi, and Bengali — to keep pace with the increase. It's difficult to track down who is saying what and along what party lines, but the encryption that shields WhatsApp users from government oversight is what privacy advocates are precious about preserving, especially with an important election fast approaching. "It's a very big problem, and the kind of knee-jerk reaction has been to look at WhatsApp for the solution — kind of shoot-the-messenger," says Amba Kak, public policy advisor for Mozilla. Her first thought when learning about the new draft legislation: "Dread." "If we see fake news as a problem that we're looking to WhatsApp to solve, we forget about the deeper structural reasons that you even have the spread of fake news propaganda," Kak says. Recent reports of Prime Minister Narendra Modi's ruling party pumping money into WhatsApp groups to spread political messaging is exactly what Kak fears more of. 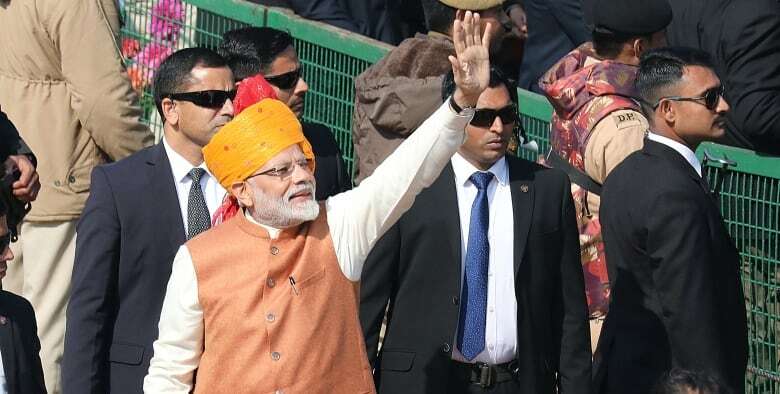 Modi's party has gone so far as to declare 2019 as the year of India's "WhatsApp elections." And there are further fears that if the platform begins to police its own content and breaks its privacy encryption, the government will be more equipped to censor critical content. "It puts enormous responsibility [on the companies]," says Kak, and beyond that, she believes it's already having a "chilling effect" on free speech. Pressure from the Indian government has already scared some companies — such as Netflix and Hotstar, India's largest streaming service — into self-censoring their content. Even WhatsApp has now limited its users to forwarding their messages to others no more than five times, although it still allows more than 200 users to be in a single WhatsApp group at a time. The company has also launched an ad campaign on TV and in newspapers in India with the slogan "share joy, not rumours." Ethiraj doesn't expect the government's proposed law about deceptive content to pass in its current form, but he remains wary. "It's only fair to expect governments to overreach, [but] it's equally our duty as media, citizens, to push back. And where feasible, [for the] platforms to also push back." 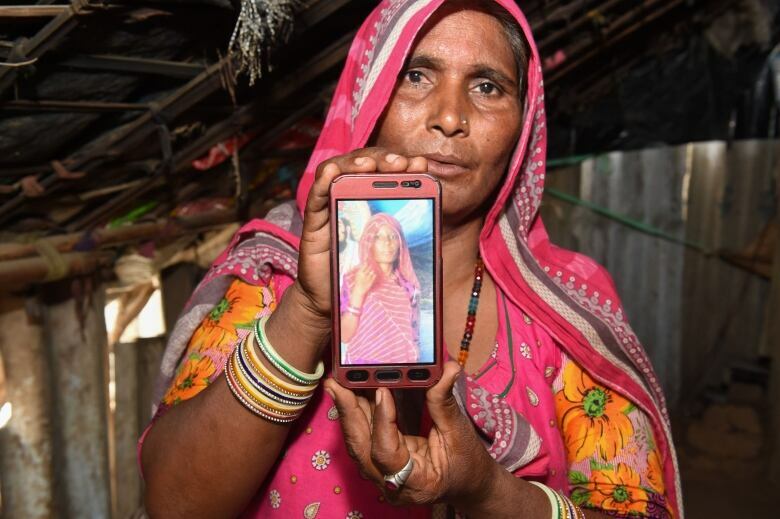 Meanwhile, the mob killings linked to WhatsApp rumours appear to have stopped, in part thanks to law enforcement officials who have taken it upon themselves to debunk rumours by connecting directly with the community. "We've actually seen them inserting themselves into WhatsApp groups, warning people," says Kak. In this way, the government could be helpful, Ethiraj says. "They should focus on education and awareness at the level of law enforcement, citizen engagement, children in schools." "Our problems with technology cannot be solved, I think, by going back to technology to solve them," adds Kak. India's problem with fake news is everyone's problem, she says, and it becomes even more dangerous when it puts the foundation of democracy at risk. Finding spring in your garage. 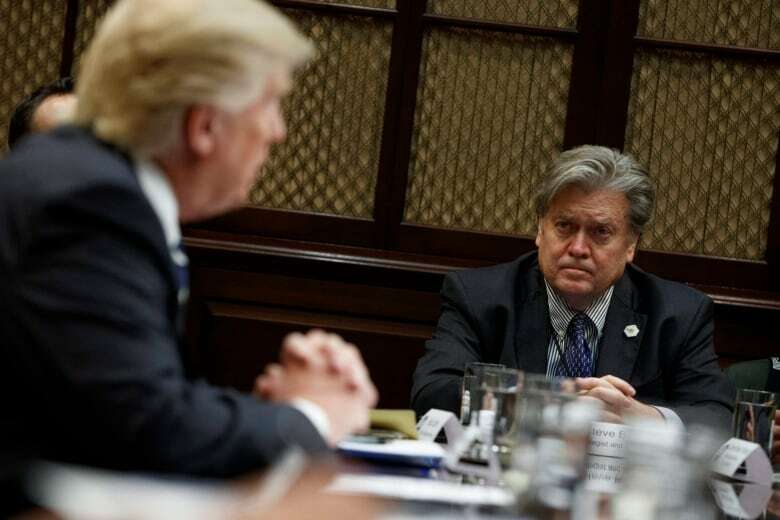 - Steve Bannon, Donald Trump's former chief strategist, suggests he had a divine purpose at the White House. TV's ultimate straight man talks to CBC's Midday about his return to network television after a four-year-break, his admiration for Bill Cosby, and why he never wanted to have sitcom kids.